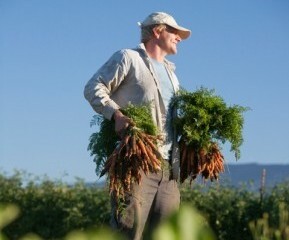 I live and work in California, the farming capitol of the world; hub of agriculture, intersecting food, chefs and farmers. It is the state which produces the most food in the country, home to the world’s smallest and largest organic farms, and boasts the greatest diversity in farming systems and farm workers. Yet the lack of food and agricultural literacy is tremendous, and the bond between the farm worker and the eater is ill understood. Central San Joaquin Valley is the modern day fertile crescent that lays its swath between Stanislaus and Kern. 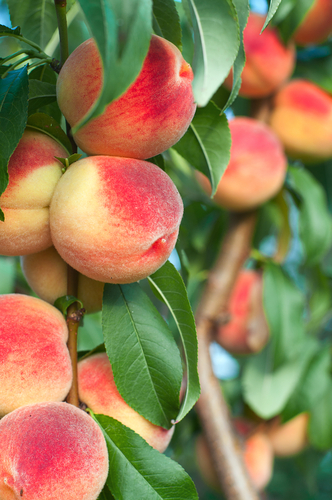 The Valley produces most of the countries, nuts, plums, peaches, and grapes and its dairy industry is one of the largest in the world. Vegetables of every variety spring forth and grace tables across our globe. The roots of California farming began with the dust bowl of the 1930’s as a wave of white disenfranchised farmers traveled to escape economic and ecological disaster. The Valley has drawn “cheap” labor from those first dust bowl farmers to modern day Latinos who have planted, picked, packed, and served our food. And with the overuse of toxic chemicals, corporate consolidated land-holdings and a lack of representation for rural constituents, we’ve called into question not only deep environmental and ecological concerns but social ramifications around the safety, comfort and opportunities for these farm workers and their families. Travel to out of the way junctions of Shafter, Dinuba, Delano, or Taft to witness the plight of our modern-day farm workers. Many people who harvest our food in the Central Valley do not have access to adequate housing, clean water, bathrooms, natural gas, heat, health insurance, sick days, holidays, or paid family leave. They endure pesticide exposure, cancer clusters and birth defects. Arsenic, nitrates and chromium taint their water supply, an existence fraught with workplace perils, possible deep seated health issues under a threat of deportation of self and family members. A hard life for those who help fill our cupboards, fraught with perils that no one need endure. This is a matter of the heart, of food justice. When families must decide between buying bottles of safe water or canisters of gas to heat their living spaces things have gone awry. When these families, surrounded by delicious crops live in a food desert with no access to the very same crops they harvest the irony runs deep. Those who feed us are kindred souls. I ask myself; how can this still be happening? Must our quest for cheap food support this kind of human inequality and suffering? How do we change the tides? 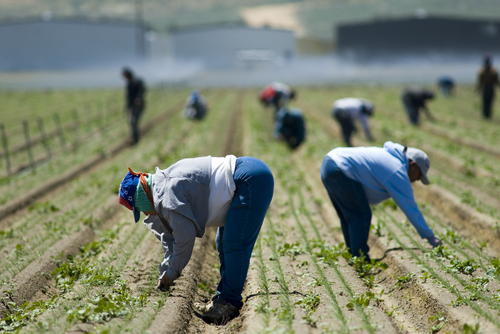 Access to agricultural-based land is one key to helping farm workers. I am proud that the UNFI Foundation supports the efforts of organizations such as Agricultural Land Based Training Association (ALBA). ALBA supports low-income farm workers through a 5-year Farmer Education program which helps develop skills to prepare them to launch farm businesses and grow new organic farms. Another grant recipient of the UNFI Foundation that serves aspiring farm workers with access to land is California Farm Link. They link independent farmers with land and financing to create a sustainable future. They even have a program that connects agrarian elders to future farmers helping pass the torch of sustainable land stewardship. The Community Alliance for Agroecology works alongside the most impacted communities of the San Joaquin Valley to address the environmental injustices perpetuated by the food and farming system while creating solutions that foster ecological balance, public health and economic equality in the region. In this New Year let us not forget those who plant, harvest, pack, ship, and prepare our food. The good food movement must embrace basic human equity as a component of our cause. Agriculture can shrug off the shackles of ‘business as usual’ if we demand it through our purchases. Urban communities must contemplate this dilemma when they choose their grapes, apples, pistachios, or pears. It is an education of the plate; build the connection, what’s the system of choice and equality? Are you perpetuating change through your purchase of food? Are the hidden costs of cheap food too dear a price to pay in the grand human scheme? When we honor our farm workers with potable water, warmth and shade when needed, a safe environment with healthy options, we do not lose sight of our respect for each other and ourselves. Eat well this New Year and remember those that harvested to bring that food to your table. Support change through your choices. This entry was posted in Environment, Fair Trade, Social Implications in Agriculture, What is Organic and tagged Fair Trade, Food Democracy, Food Justice, Real Cost of Food. Bookmark the permalink. Great write up of the situation. Cause is another issue. Realize that the Republicans figured out several years ago that when immigrants get their citizenship, they almost 99% of the time, become Democrats. This is the real cause at the bottom of this mess. The Republicans don’t want any more Democrats. Look at what George Bush jr did at the last second to the immigration bill! He added that immigrant labor in that bill had to qualify by having a college degree! How many Latino field workers have a college degree? Too much smoke and mirrors in the system. We are doomed for another four years…. Thanks for the comments Michael. We need to keep up the good fight for fairness and equality. We were all immigrants from somewhere once and we all certainly deserve basic human rights. Melody !! Thanks so much for bringing this issue to light. I just read Fair World Project’s report on the many Fair Trade certification bodies and how they are doing with directly helping Farm Workers. Thanks for bringing this into awareness and talking about some of the work that is going towards solutions. My Grandparents were migrant farm workers in the dust bowl and I just happen to be wearing Grandpa’s watch today !!! Oh Mindee! Thank you for reading and commenting! It’s an important component in understanding the true cost of cheap food. We all are descended from immigrants and migrants looking for a better life. So glad you have that watch! Thanks for this post, Melody, and for supporting farm workers. The fight for raising the minimum wage is another issue that would go a long way towards improving the lives of farm workers. Underlying all of this is the fact that much of California ag is built on genocide of Native peoples and theft of their land, and that slavery is the foundation of our food system. We can’t undo those crimes, but we can start by acknowledging that they took place and actively support those who are standing up to protect our water and soil. I appreciate your comment about the native people. That was the first source of ecological disasters from which many followed. Protecting our natural resources is tantamount as we enter this new political climate and remembering the ways of the native North Americans can help us.